“Sun is just up and lighting the eastern sky reflecting off fresh cut grass on the prairie. Native flowers blooming along the trail. Heavy dark rain clouds in the west framing the cemetery in a way only God can. 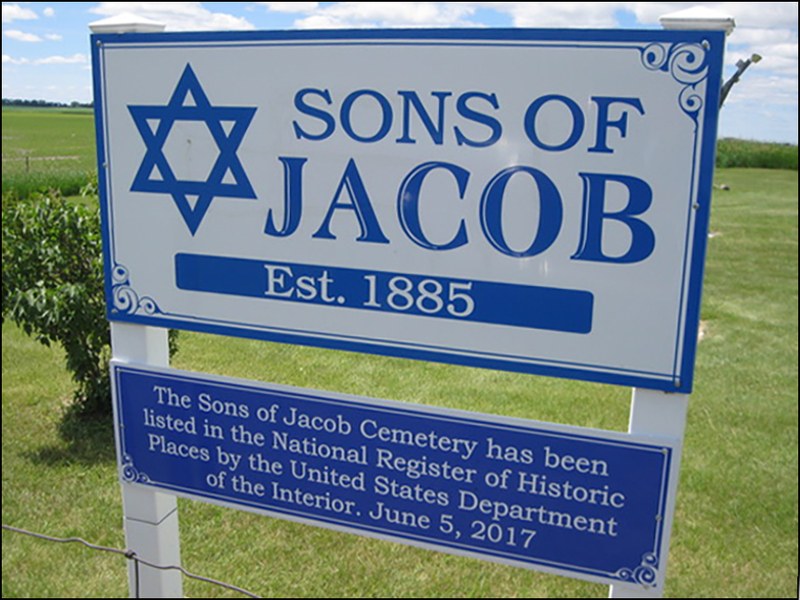 The Sons of Jacob cemetery was established in 1885 and represents the efforts of over 100 Jewish settlers who homesteaded in the area to honor those buried there. Over the years the cemetery deteriorated due to none of the original families remaining in the area. In the past ten years interested individuals from all over the United States worked together to establish a monument recognizing those settlers. They also have worked together to straighten, clean and maintain the tombstones, handcrafted from tin and field rock in addition to purchased headstones. 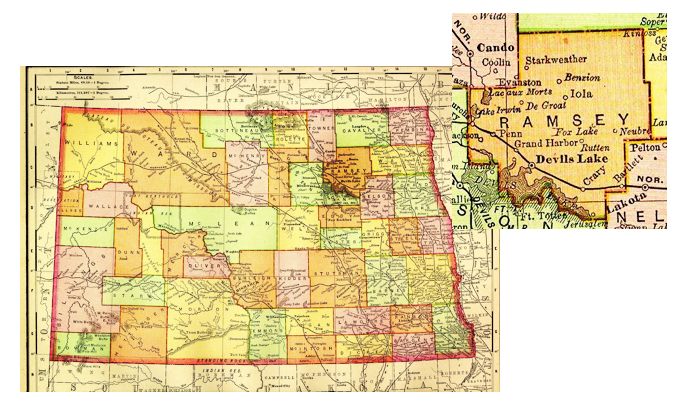 Our website has family histories, letters written by original homesteaders, photos, news, and related events that have taken place. In addition, you can learn about the Rachel Calof Memoir that became a touring play. We hope you will enjoy all of the rich history as much as we have enjoyed preserving it. Prepared by Dianne Siegel, web revision by Ellen Ziskin, great granddaughters of Davis Rubin. Special thanks to Hal Ettinger (of blessed memory) for spearheading this project and to the Devils Lake Area Foundation and individual donors for their support.